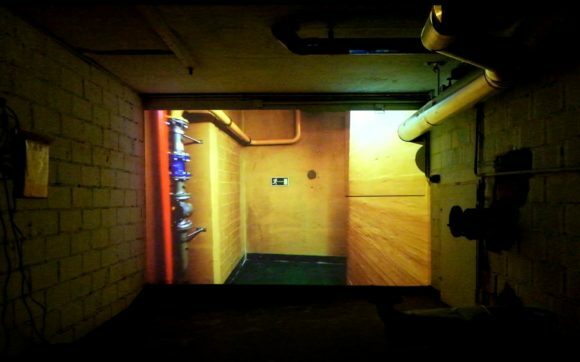 A site-specific video installation with sound. Installation view at the exhibition. A walk through the empty underground corridors and the old laundry facilities and cellars of the former Waldhaus Dolder Hotel. A work about the past, time and space.